These lyrics, from the musical The Secret Garden, have run through my head the past few weeks. Used to describe the disappearance of winter from the English moors in the musical, they seem to apply just as aptly to the coming of spring to Minnesota this year. After one of the snowiest Februarys on record and a March that tried to break February’s snow record in just the first week, it seemed but a few weeks ago that spring was far out of reach. The CCMI central district field crews started off their term trudging through knee high snow, and learning the fine art of dressing in layers. But after just a couple weeks of higher than freezing daytime temperatures and some welcoming sunlight, the snow has all but disappeared. Watching it disappear has been like watching a sleeping world reawaken. Moving through our project sites, I’ve had to stop and appreciate the treasures that emerge with the retreat of the snow. 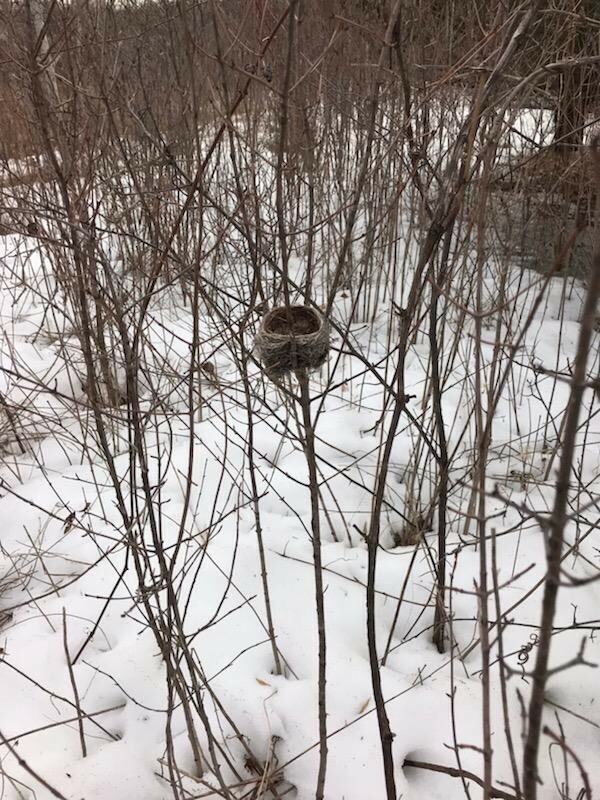 Bird’s nests, beaver activity, small cedar saplings popping out of the snow like springtime daisies—all proof the natural world is stirring from hibernation. Those of us who work outside all day are stirring with excitement along with it. We’re ready for the sun to greet us in the morning, for the days when we don’t need four layers to stay warm, and for the adventures a new season will bring. I hope you’re ready too. My name is Caroline Fazzio, and I’m a returning blogging this year for Conservation Corps of MN and IA (CCMI). I have moved from the halls of the Department of Natural Resources (AIS Individual Placement) to the nursery beds of the Three Rivers Park District as the new crew leader of the Three Rivers One (3R1) Forestry field crew out of the Central District of MN (bit of a mouthful isn’t it). My crew is joined by two other CCMI forestry field crews ready to tackle the conservation work of the Three Rivers Park District. Expect chaos, expect surprises, expect hard work, expect fun, expect the unexpected – Welcome to the Adventure! * “Winter’s on the Wing” from The Secret Garden (musical). 1991. Lyrics and book by Marsha Norman. April 9, 2019 by Rachel Wagner.